A controversial dog training business in the South Bay is once again fighting for its survival. 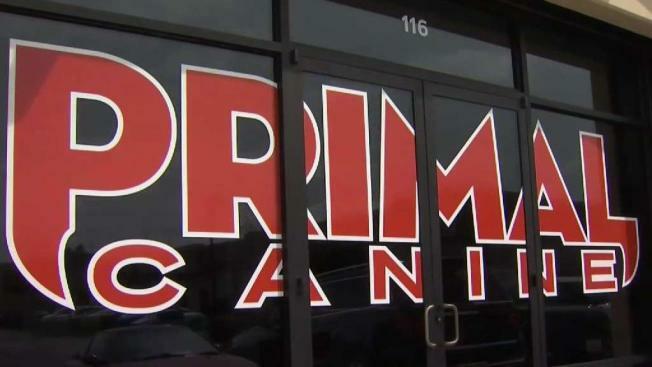 Primal Canine has been in Morgan Hill for about a year, and while owner Mike Jones acknowledges the city has received complaints about its training methods, he believes the city is pressuring him to close up shop. Jones says the city rezoned his training area from commercial services to light industrial, which requires Primal Canine to pay about an $8,000 to $9,000 non refundable conditional use permit he can’t afford. "Essentially you’re gambling with that money to see if the city will allow you to stay," Jones said. "And at that point, if you do get the conditional use permit, if anyone complains, then that goes against your permit, and the city can essentially pull you at any time." Jones emphasized he wants to stay in Morgan Hill, saying he’s received a lot of support. Trainer Matt Jaramillo says he feels Primal Canine is being unfairly judged like this dog Hendrix. "You see a big dog like this, and instantly people cross the street, just with us walking around the facility," Jaramillo said. "So there’s a lot of judgment passed based on his looks." The code enforcement officer in charge of the case did not respond to requests for comments. Primal Canine has until March 29 to decide whether to gamble on the conditional use permit, operate without it and face fines or close down.